Arlington leaders are getting more input on the Amazon deal by hosting more than a dozen town halls to discuss Amazon’s plans for the county in the run-up to a planned vote on the matter later this month. 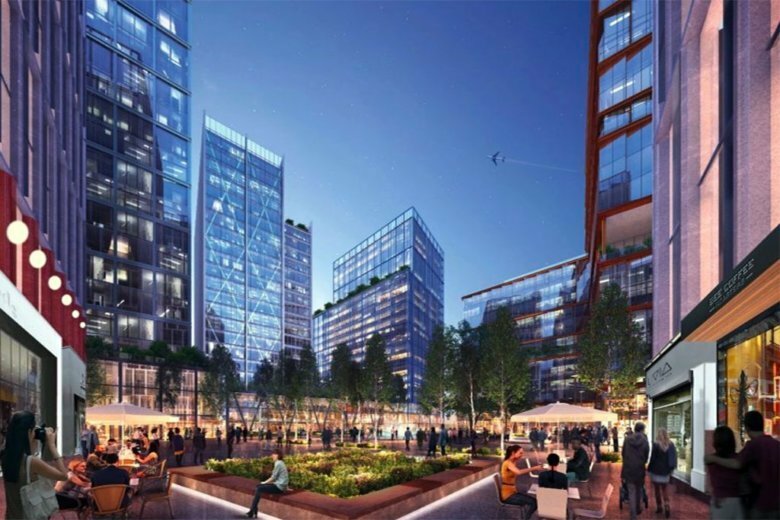 County Board members plan to spend the next few weeks holding meetings with a variety of civic associations and advocacy groups to discuss the tech giant’s arrival in Crystal City and Pentagon City, and have now released a schedule of the impending gatherings. Board member Katie Cristol led one of those meetings with board chair Christian Dorsey at the congregation Etz Hayim in Arlington Sunday morning. Cristol said that while there is some intense opposition toward Amazon, she also seems some Arlingtonians who are excited about the job opportunities that will come. “They’re excited about the role that Amazon can play in rebuilding our tax base here in Arlington County to fund our priorities like schools, parks, housing public safety. Up to two Board members will attend each one of such meetings, planning them as open forums for community members to discuss all the implications of Amazon’s new headquarters for county residents. The sessions will not, however, include representatives from Amazon itself. County officials and activists critical of the company have been insistent on seeing some engagement from Amazon executives with the broader community — for its part, the company argues that it’s conversations with local business leaders have adequately helped set the stage for its arrival in the county. The Board had originally expected to vote on an incentive package designed to lure the company to Arlington in February, but delayed those plans slightly to allow for more time for community engagement. Since the company announced its expansion plans for the county, concerns have bubbled up over the company’s potential impact on everything from housing affordability to traffic congestion. New Board member Matt de Ferranti was especially insistent on pushing for the extra time, inviting civic groups of all stripes to request meetings with the Board. Anyone interested in attending can check with each group individually for exact times and locations as they’re finalized. The Board currently plans to vote on the incentive package at its March 16 meeting. Arlington is proposing to send $23 million in grant money to the company over the next 15 years, with the cash drawn from a projected increase in hotel tax revenues driven by Amazon’s arrival. The Board’s decision is the final domino that has yet to fall in finalizing the company’s plans for the area. Gov. Ralph Northam and state lawmakers have already approved up to $750 million in tax rebates for the company. WTOP’s Keara Dowd contributed to this report.